Fill out our simple form and get quotes from local pianists. Book a wonderful Pianist to give your event a touch of class and a stunning soundtrack. Whether you're after jazz, rock, pop, soul or R&B, a Pianist can deliver the perfect set for your event! The piano will not dominate the event, but rather create a wonderful atmosphere for all your guests; a perfect touch at a dinner party. 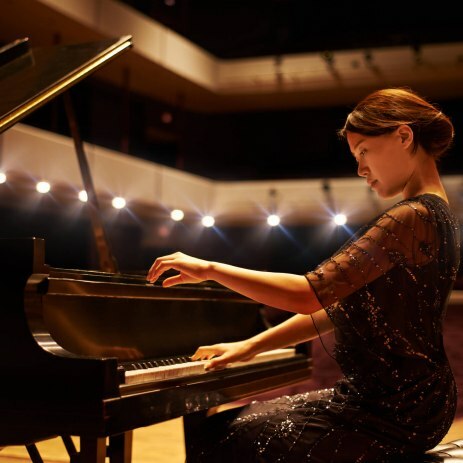 Use Add To Event's free service to find and book the best Pianists in your area. I am predominantly a singer/pianist, but I do have a repertoire of piano-only pieces. These cover traditional wedding pieces and pop covers. I can perform for up to two hours.